Archana Chidanandan is a software development professional with extensive experience in developing technology for development. In various capacities, including Chief Operating Officer and Program Manager, Archana has been involved in the launch of online learning tools for women’s rights activists, a portal for small business owners, an online Corpus of laws in Muslim-majority countries focusing on women’s rights, and managing the USAID-supported Mobiles for Education Alliance. 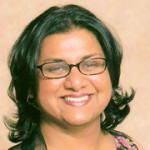 As Associate Professor of Computer Science and Software Engineering, Archana mentored young women in careers in the computing fields. Archana has an MA in International Affairs from the George Washington University and a PhD and MS in Computer Engineering from University of Louisiana at Lafayette.